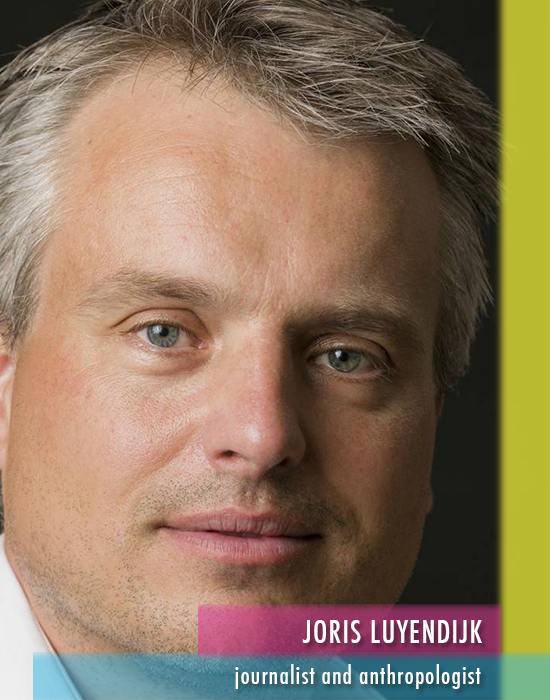 Joris Luyendijk is a Dutch-born, London-based writer and journalist. After half a decade in the Middle East as a correspondent, he was brought by the Guardian to London to investigate the culture of the city. Breaking the code of silence dominating the city, he found over 200 bankers and banking staff ready to talk freely about all the taboo subjects — the first investigation of the city of its kind. The resulting book was a sensation in his native Netherlands, selling over three hundred thousand copies in under a year while the English edition of Swimming with Sharks met with high praise from, among others, the Financial Times. Translations are due for fifteen more countries, including China, Japan, the United States and France. Luyendijk is a writer who is unafraid to spend years researching a topic, for instance, by learning Arabic in order to study youth culture among poor Egyptian students in Cairo. An anthropologist by training, he is widely praised for his ability to render complex subjects accessible to a wide audience without dumbing down, and to bring his irreverent humour to even the most controversial and complex issues. Lately his focus has been on morality and finance, the culture in big banks, the political response to the financial crash of 2008 and the danger for regulators, academics and journalists of being ‘captured’ by the industry they are assigned to. He has retained a keen interest in the Middle East and Islam, particularly their representation in Western mass media — the subject of an earlier book. Having worked in journalism himself for almost twenty years and building on the sociological law that ‘perceptions are real in their consequences’ he has written extensively on how media shape our understanding of the world we live in. 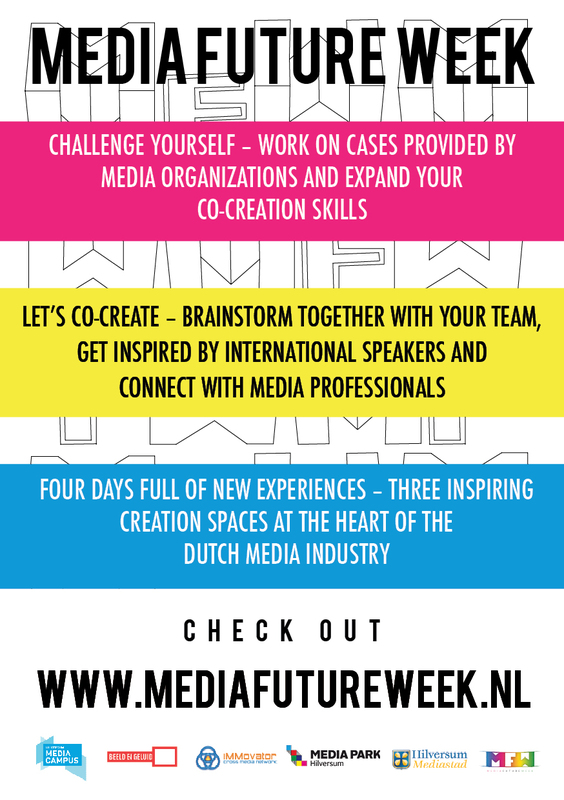 At the Media Future Week he will talk about truth, perception and the media. This speaker is made possible by Stadsfonds Hilversum.